The best teachers in this country, take important concepts and make them relevant to real life. They think outside the box and create learning situations that engage and motivate their students. Those special teachers who truly care about their students and who go above and beyond deserve to be recognized for their passion, commitment, and ingenuity. The Allen Distinguished Educators (ADE) award program recognizes and rewards teachers who “break the mold” of traditional schooling to provide students with opportunities to become thinkers, makers, and creators through computer science, engineering, and entrepreneurship. In addition, ADE is enabling a growing subset of teachers who want to employ 21st-century learning strategies with their students through open-educator resources. It recently launched 11 new DIY Guides & Grants for K-12 educators to adapt and implement ADE-designed projects in their classrooms, as well as 14 new Roadmaps for building and growing innovative education programs. These new resources were developed by the 2016 class of ADEs. These Guides are diverse. For example, in Coding Cultural Understanding, students create a game that tells the story of a hunter or gatherer from an indigenous culture of their own choice. 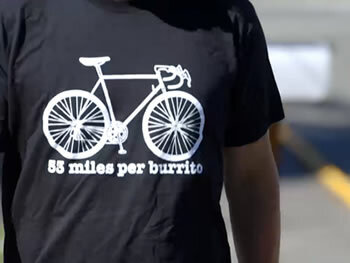 Or in 53 Miles per Burrito, students must answer the question: “Can I ride 53 miles on a bike from the energy of a single burrito?” They must define their variables, collect their data, analyze their data, and present their results. By the end of the data collection, students should have all the information they need to design a burrito that would provide them with the exact caloric content necessary to ride 53 miles. Other guides include creating arcade games and designing a hermit crab habitat. While many of the current guides were implemented in high schools, all of the guides can be modified for younger grades. ADE wants to help you implement these programs in your classrooms, too, and so each of these guides also has a grant associated with it. The purpose of the DIY Grants (up to $1000) is to help us enhance the replicability of the DIY Guides, as well as their adaptability to a range of school types, locations, and grade levels. They are looking for teachers who work in school environments different from those of the ADEs who created them. The current application period opened on July 20th and you can apply between now and September 5th.